The 1966 Batman television show made it's debut 50 years ago yesterday! 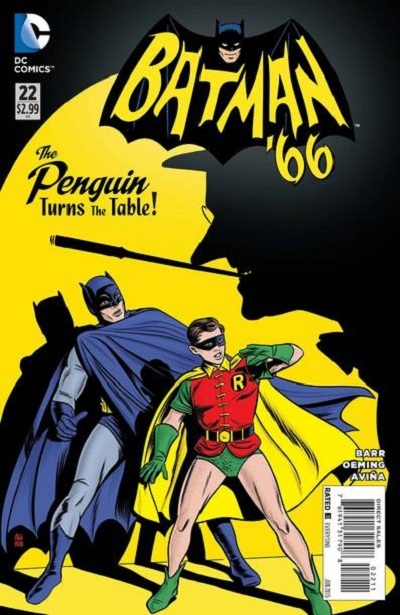 What a better way to pay tribute than pick a very cool cover from the current Batman '66 comic series from DC Comics. This cover pays homage to the famous Batman #9 cover with it's own modern but yet retro feel to it to capture the sense of campiness and fun that was the 1966 Batman television series. The 1966 Batman television series lives in re-reuns, DVD;s and comic books because it is timless even if a bit cheesy at times! POW! ZAP! BANG!